(2008/COLUMBIA) 4x180g Vinyl LP-Box plus 54 page booklet. Bob Dylan wins Nobel prize in literature 2016! Folk Rock singer-songwriter Bob Dylan was born Robert Allen Zimmerman on May 24, 1941, in Duluth, Minnesota. While attending college, he began performing folk and country songs, taking the name 'Bob Dylan', and in the fall of 1960 he quit studying to move to Greenwich Village, the bohemian side of New York. In 1961 Dylan signed his first recording contract and emerged as one of the most original and influential voices in the history of American popular music. Dylan wrote hit songs that mirrored the emotional atmosphere of the youth movement at the time, signs that the youth could take over and understand: 'The Times They Are Changing,' Blowin' In The Wind,' 'Too Many Mornings,' and countless others. Songs like 'Mr. Tambourine Man,' 'Like A Rolling Stone,' 'Rainy Day Women,' and 'Blonde On Blonde' were generated, the latter was the first vinyl double album in Rock history. Dylan took an 8-year time-out after he had a terrible motorcycle accident in 1966 to have a tremendous comeback in 1974. Showing no signs of slowing down, Dylan has continued to tour in recent years, and released studio albums including Together Through Life (2009), Tempest (2012), Shadows in the Night (2015) and Fallen Angels (2016). The legendary singer-songwriter has received Grammy, Academy and Golden Globe awards, as well as the Presidential Medal of Freedom and the Nobel Prize for Literature 2016. 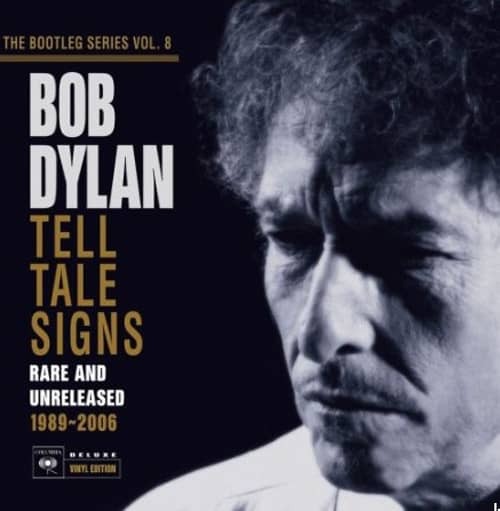 Customer evaluation for "Tell Tale Sings - Bootleg Series Vol.8 (4-LP)"